Software development is the highest outsourced IT service today. The need for software development has risen more than ever with each year due to the rapid advancement of technologies such as blockchain, IOT, and AI. Software development services provided by IT companies help organizations in leveraging such advancements to their full potential. So are you in search of an ideal IT company to fulfill your company’s requirements in software development? Well, as an experienced software consultant myself, I can understand the hurdles you may face while looking for a top software development company that can work on your budget and can complete high-quality projects at the best possible value. To make it easier for CIOs and business readers from diverse regions, I’ve further classified this list of top IT companies providing software development services based on categories such as regions and continents. Up first is an infographic showing the top IT companies providing software development services from different regions across the world. The ordering of every IT company on this list is done on the basis of the above-mentioned research parameters, with the best company from each region/continent in the №1 position followed by other nearly equal IT companies. Want to develop state-of-the art software infrastructure to smoothen your business operations? Emerging SMEs across the globe are looking to hire software developers to help them for the same. Note: The top software development companies from each region are listed based on the balance between development costs and quality of services they provide for businesses within the mentioned region. So some of the IT companies listed may have their origins from a different country, but the ranking of their software development services may be higher for another region. 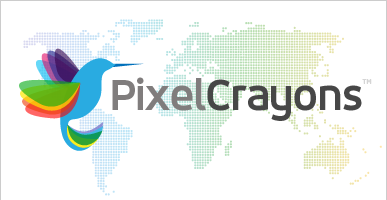 PixelCrayons is a 14-year IT outsourcing firm and among the best software companies in India. Being one of the top software companies in new york, the company’s expertise in new technologies including blockchain development, machine learning solutions, and IoT development make it stand apart from the competition. What I liked the most about PixelCrayons was their extensive portfolio of completed projects, most importantly their 97% client retention rate (PixelCrayons has over 4000+ satisfied clients), and a reliability-assuring 100% money-back guarantee for projects that either do not live up to clients’ expectations or are not completed and delivered in time. Established in the year 200, Brainvire is one of the most reputed IT companies in the US. The company has over 2000 happy customers from various industry domains. The company’s specialization in IT services, consulting and outsourcing helped it attain a top ranking in the listings of clutch in 2018. Established in 2010 and with offices in the USA and India, Finoit is one of the more recently established IT companies in this list. The company’s vision and philosophy rest on the pillars of garnering the trust of its clients and ensuring smooth execution of development projects. AgileEngine was established in the year 200 as an entity run by a mere two people. Today, it stands as the best IT company providing software development services in the Latin-American region, and one of the most trusted development companies in the software industry. The company has over 300 experts for its operations, which as the company claims; consists of the “top 3% software engineers”. This small-sized, yet highly experienced IT company has over 80 experts providing software development services to known clients. Founded in 2007, the software development company has already served over 200 companies and provided them with cutting edge solutions. Facebook, in particular has doubled up its efforts to hire blockchain developers. Currently, the social media giant has over 24 opening for developers for projects related to cryptocurrency. Menlo technologies are one of the top software companies in New York specializing in cloud integration, data analytics, and mobile technology. Established in 2010, the company has over 165 employees under its belt and has served reputable latin-American clients, which gives it a place on this list. 10Clouds is one of the top IT companies providing software development services based in Poland. The software development company has successfully completed over 90 projects since its inception in 2006. 10Clouds employs over 100 developers working for top companies across Europe and Australia. Django stars is a software development company established in 2008. This IT company operates from its 3 offices in Ukraine, Switzerland and the US. In its 10 years of experience, the company claims to have developed a work culture which drives their expert employees to work for their clients with utmost dedication and strive to make small-scale startups scale into successful enterprise companies. Geeks Ltd is a software development company based in London. A specialty about this company is its narrow focus on providing software development services for companies in the UK. So companies outside the region may not be able to access their services. However, a narrow focus does not take away its position as one of the top IT companies for software development, as its quality of services and the efficiency in development costs are unmatched by anyone except the top two IT companies on the list. Being one of the top software companies in India, a country with a population of over 1.2 Billion people; it is no surprise that PixelCrayons finds its name at the top of this list. As mentioned before, this software consulting firm has immense experience and the ability to easily deal with new technologies. OpenXcell is one of the top IT companies providing software development services in India. The company was found in 2008 and has over 200 developers working to fulfill their clients’ requirements. The company employs an outsourcing model called “Valueshore” which according to OpenXcell help companies get a better ROI. Outsourcify is a Thailand-based IT company offering software development services to clients across Asia. The company initially garnered fame for its high-quality web design & development services, and today has customers across all parts of the world including France, Sweden, Singapore, Australia, Belgium, and Thailand. Entelect is one of the leading IT companies offering software development services in South Africa. Founded in 2001, the company follows a philosophy they term “hiring the best”, this belief, along with a commitment to ensuring delivering of quality services is what they feel enabled them to grow rapidly. Saratoga is a south South African IT company providing software development services since 1998. Two years ago, in 2017; the company chose to merge with another firm named Alacrity technologies to enhance its foothold in the market. That decision worked incredibly well for Saratoga, and today they have over 120 experts delivering software solutions to local and international clients. Synthesis is a South African IT company specializing in providing software solutions for clients in the banking and financial industry. The company is one of the most newly established It companies on this list. Founded in 2015, Synthesis software technologies use agile development methodology to deliver the best software development services to its clients, who mostly are large scale enterprises looking for effective cloud solutions. Working Mouse is a software development agency based in Australia. This is one of the best IT companies for onshore software development services in the region and prefers to partner with their clients until the end of their journey towards building useful software. Working Mouse was founded in 2014 as a small company with less than 50 experts, among which also include agile certified development teams. Finoit, like PixelCrayons, is one of the only two companies to be mentioned twice on the entire list. What gives it the place in this list of top software companies in Australia is it’s the amount of success it has achieved in a short span of 8 years. Established in 2001, TatvaSoft is one of the most reputed IT companies offering software development services with over 16 years of experience in the software industry. The company employs over 750+ professionals across its offices in UK, Australia, Canada, US and has a development center located in India. 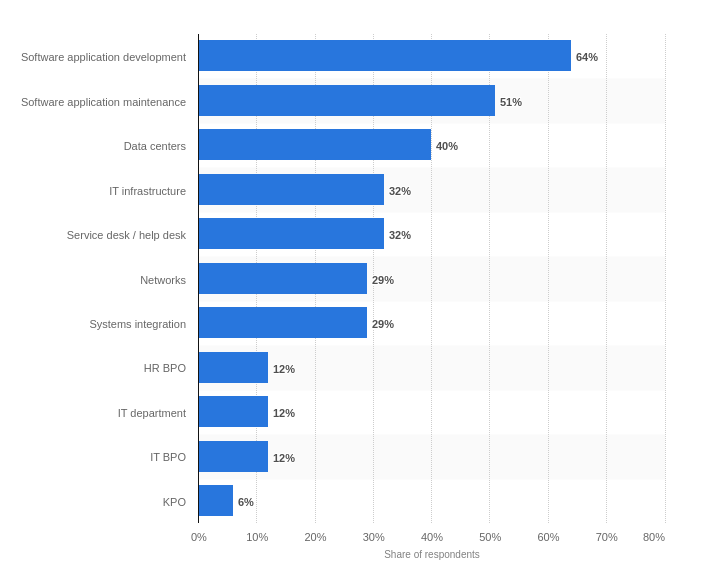 Which among these are the overall Top 3 IT companies you can rely on for software development services? These rankings are a result of an in-depth analysis I conducted according to the research parameters mentioned above. These are the IT companies I found to be the most valuable across the mentioned regions. However, if your choice of a partner for software development services needs to be the best among the best; then no worries, I’ve kept that in mind as well. What makes PixelCrayons the best Software development company? Based on my conversations with some of its clients, the company matched their expectations with regard to quality and timely delivery of application development projects. What makes Finoit the best software development company? What makes Django Stars the best software development company? Its expertise in web and cross-platform mobile app development is unmatched. With that, I must conclude this list of the best IT companies across the world providing top-notch software development services. I’m quite confident that any company in this list, especially the top 3 IT companies I just mentioned; would fulfill all your expectations in due time and with utmost dedication.